Seems like a reasonable price for so much Wright. Has anyone here seen this place? The former owners who restored the house were early members of FLWBC. They did a fine job of it. 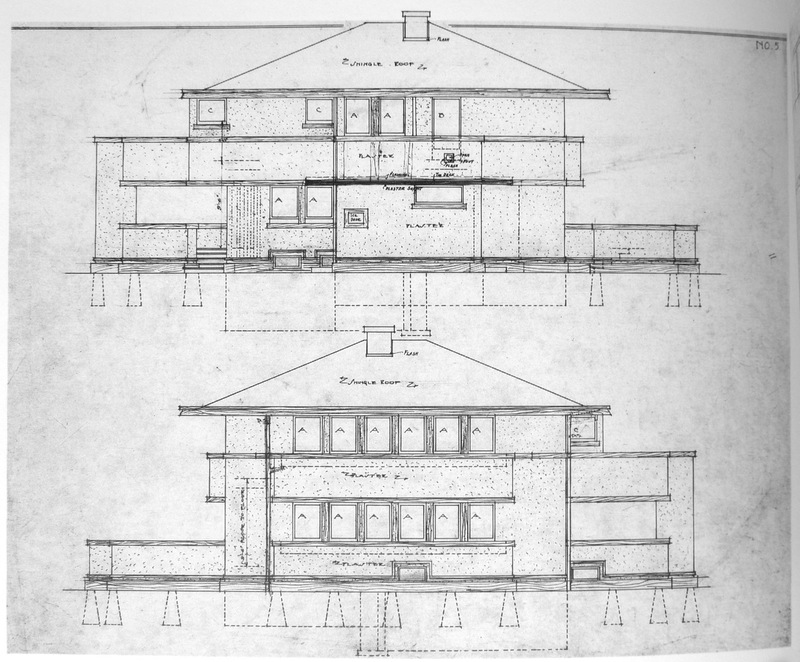 Of course, what sets Ziegler apart from all other FLW houses is that odd cabinetry wrapped around the chimney. I still don't get it. 509 Shelby St. Frankfort, Ky. I could not find a Realtor listing for this property. According to Wright on the Market it is being sold directly by the current owners. yes, I have seen this property both inside and out. 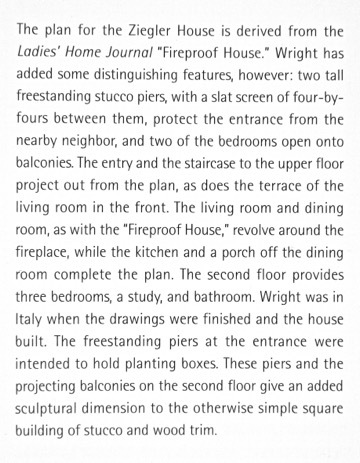 The house, of course, is an iteration of the original Fireproof House. 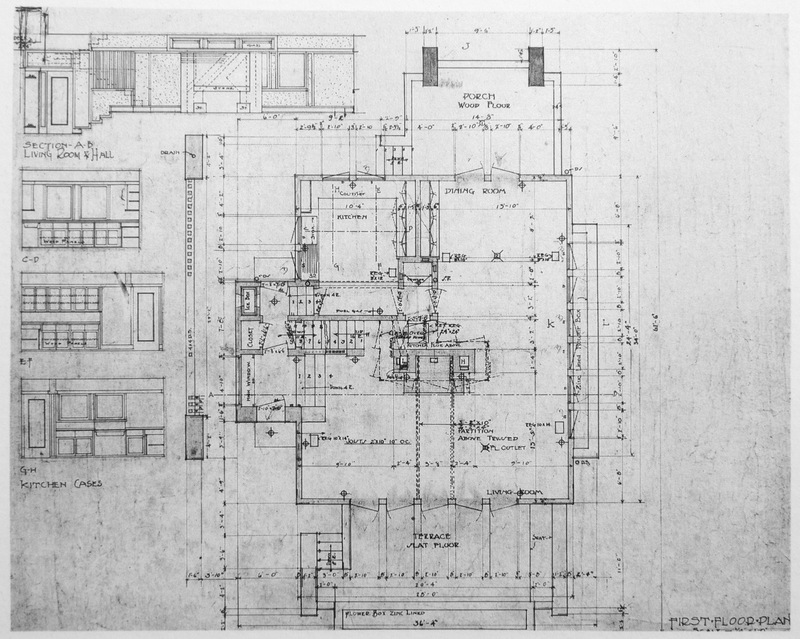 Many versions of this house were built by Wright and other Prairie School architects. They are all quite livable. The location and size of the porches and entryway differ from each other, but the general plan is constant. 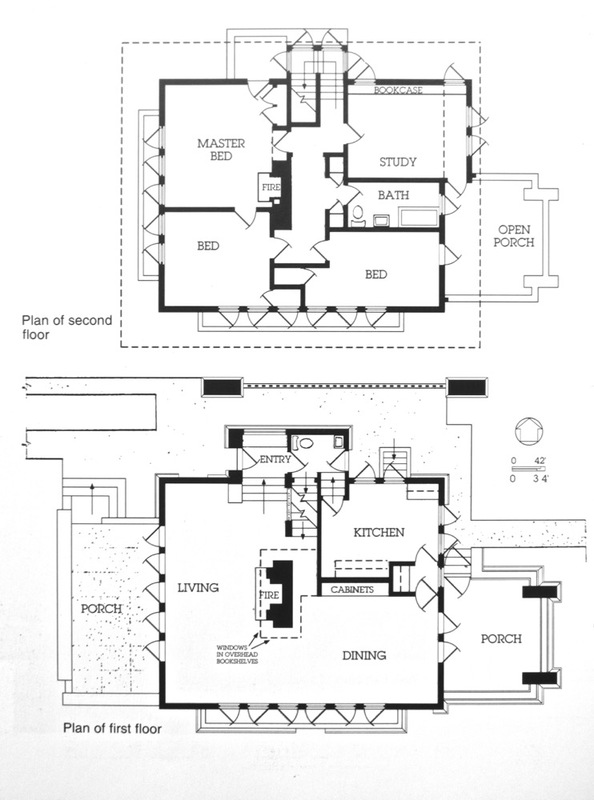 The original plan was offered in the April 1907 Ladies Home Journal for $5. There are many "builder" versions out there waiting to be discovered. The second-floor balconies are a unique touch and add some 3D massing to the exterior. The front patio off the living room, like the Cheney House, is elevated from the sidewalk offering visual privacy from the street without walls or shrubbery. As I remember the lot is deep with a garage on the alley. The owners prior to the current owners decorated it with Victorian furniture. The current owners have the appropriate interior colors and furnishings. I liked it so much we bought a version of it by Drummond. Your endorsement should be helpful to those who might consider investing in this place. Frankfort seems like a pleasant enough place...? A compilation of data and documents found in three standard Wright references. The first-published of these is Monograph 3. Editor B B Pfeiffer provides a useful text, though the sequence of events is fuzzy (leaving where: Illinois, or Germany ?) . . .
And drawings from the Monograph. 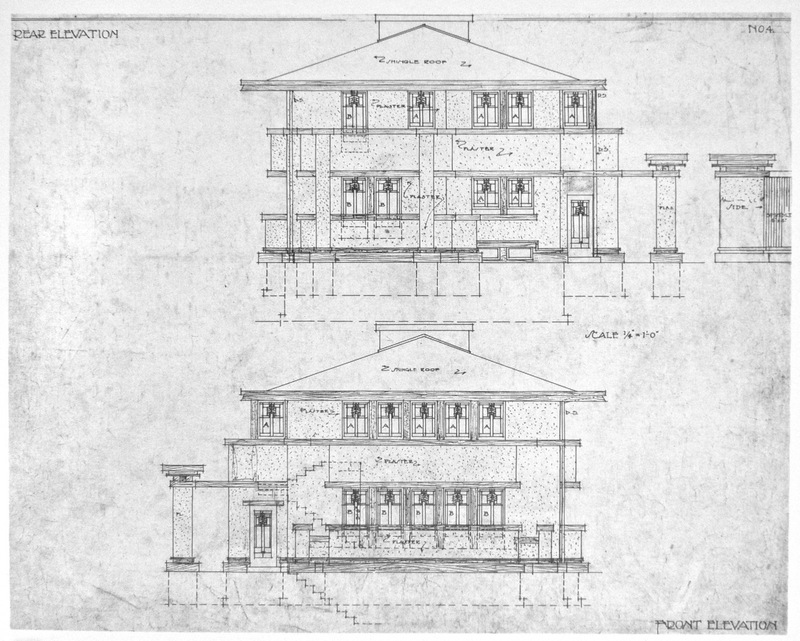 The elevations suggest that the roof pitch was reconsidered after the layout had begun: the chimneys intrude into neighboring territory on the drawing sheets. Note 2x6 trim fastened to the building with stand-off blocks . . . 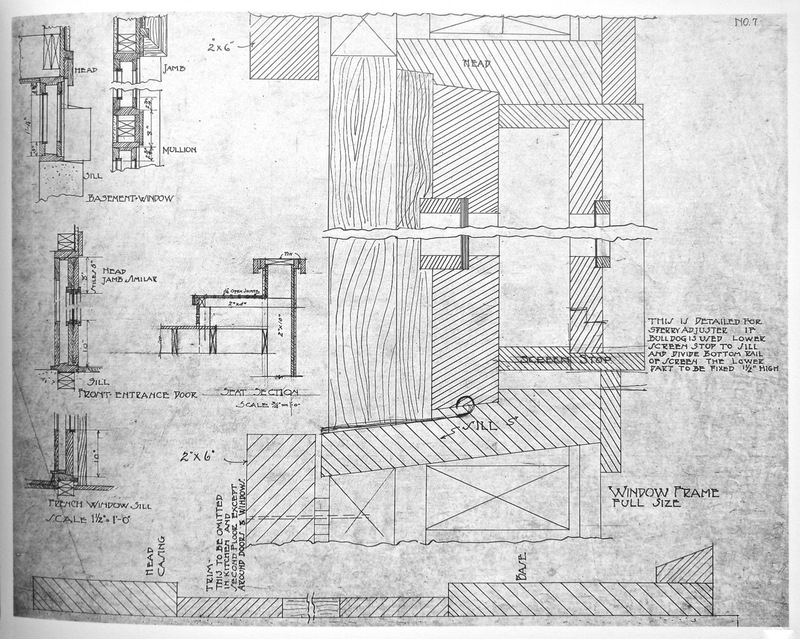 The art glass design proportions and that odd display cabinet above the fireplace noted by Rod Grant have a certain clumsiness that make me think of Marion Mahony, not FLlW. She didn't get things quite Wright. ... but no reference to Ziegler. 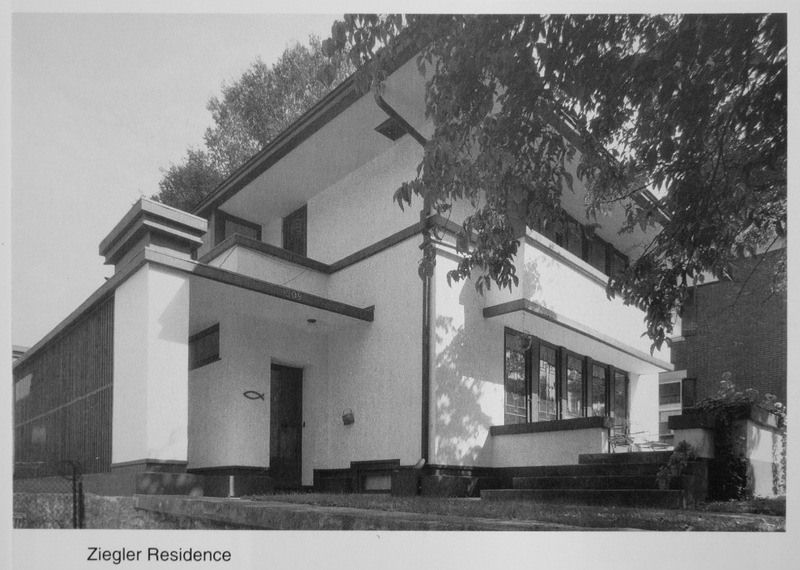 Since Ziegler is dated 1909, I would bet it was mostly by Himself, but that hanging cabinet may well have been an alteration by MMG. Von Holst seems not to have contributed much if anything to the work. 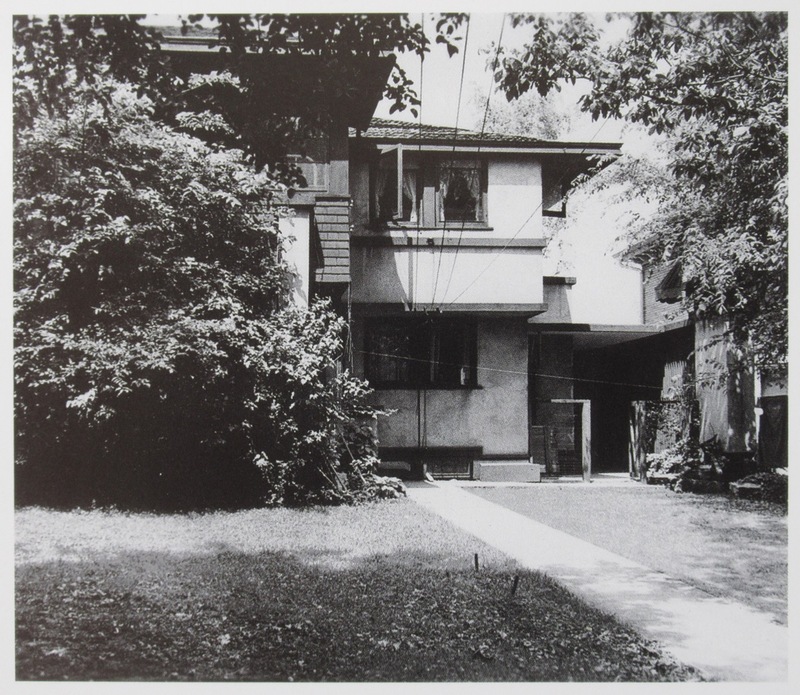 I see some of his massing in the A. Mueller House, but only on the exterior.